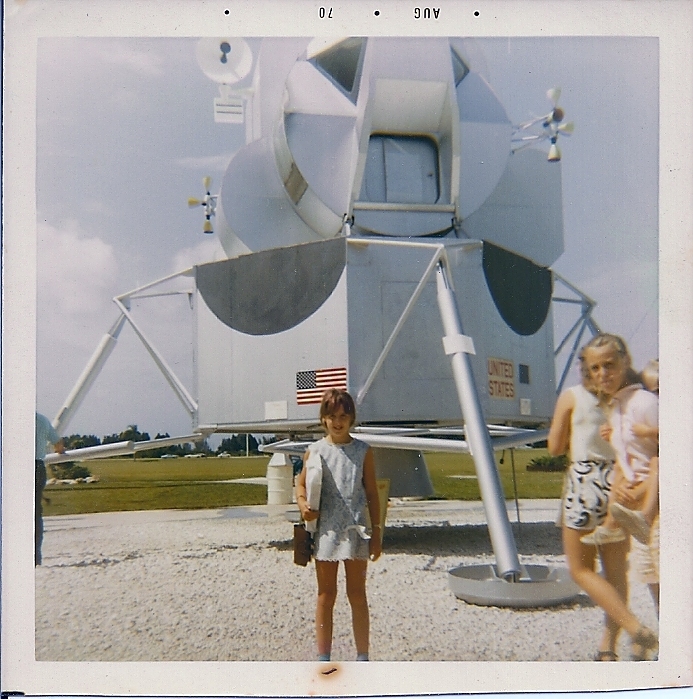 I grew up in Florida in the heyday of the early space program. I remember a visit to Cape Kennedy sometime after the first moon landing, but we never attended any of the rocket launches. In 2011, the NASA Space Shuttle program was drawing to a close after 30 years. We made a trip down to Florida and saw the launch of STS 133, the final flight of Space Shuttle Discovery on February 24, 2011. We viewed the launch from Kennedy Point Park located across the Indian River west of the launch pad. It was an ideal spot and the launch went off without a hitch. We arrived a few hours before the launch, found parking a couple of blocks south of the park, got food from a convenient roadside vendor, and found a place to sit on the grass and await the final countdown. There were a number of other people gathered in the park. One person was on the phone with her daughter who was watching the process live on TV somewhere, and alerted us when to start looking for lift off. We found a geocache (visit link) in the park afterwards while waiting for some of the traffic to clear. We visited Kennedy Space Center two days following the launch and saw mission control, the empty launch pad, and all the usual space related stuff. One interesting item on display in the museum was the flight plan from the 1968 Apollo 7 mission. We also did a little unexpected birding seeing a couple of beautiful Roseate Spoonbills in the canal on the way into the visitor complex. There was also a Fish Crow hanging out on one of the outdoor displays. More birding opportunities arose on a visit to Celebration, FL and a walk along a canal near Lake Rianhard. There we saw a very large bird calmly sitting in a tree which turned out to be an Anhinga. There were also a few Snowy Egrets mucking about. We photographed some, clearly showing the yellow feet. It wouldn't be a Florida visit without gators. We took one of the ubiquitous air boat tours and thoroughly enjoyed the experience. We went with Boggy Creek Airboats in Kissimmee and took one of their morning excursions. If it wasn't our last day in Florida, we would have come back and tried one of their night time trips. We saw a lot of birds including some coots, marsh hens, mottled ducks. We only had the little point and shoot camera with us, so not many photos were taken. We did capture a Great Blue Heron stalking something in the grass, and took a photo of a brown headed cowbird. We saw another gator and heeded the NO SWIMMING warnings on our visit to Tosohatchee Wildlife Management Area. Thanks to a couple of geocaches (visit link) and (visit link) we got to do some exploring of this out of the way place. Of course, we had to ask ourselves "should we really take the rental car down this road?" at one point. The answer, of course, was yes! Fortunately we didn't get stuck in the sand. We also visited the Splendid China Miniatures in Apopka, FL, a must see roadside attraction. Well, it was a must see for us since we visited the original Splendid China in Shenzhen almost 10 years ago - see our travel log from that trip. We were disappointed to learn that the Kissimmee Splendid China had closed, but we found a bunch of the miniature buildings have been relocated to a parking lot outside a warehouse for an import company at 2640 West Orange Blossom Trail, Apopka, FL.